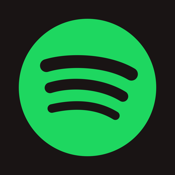 Spotify by Spotify Ltd has become a name synonymous with music in this day and age. It includes albums, radio stations, and all kinds of different sharing options. It’s almost impossible to get any work done with Spotify on, as I’m constantly turning around and testing if I can find this artist or that song. The music discovery app is compatible with iPhone and iPad and weighs in at 31 MB. With this app, you will never have to buy music again. When you boot up the app, it instantly asks you to log in. As I have never used Spotify before, I logged in via Facebook and within two seconds I was connected with the server. I now have a 48-hour trial period, which everyone gets, so I can try out Spotify Premium. After these 48 hours, in which I can use my account on all my devices and make music available offline without ads, I will have to pay $9.99 per month to remain this service. The second option is the Spotify unlimited function, for only $4.99. This makes every song available to you, but you cannot make the music available offline. Well, taking aside that there are millions of songs available on Spotify, in all different languages and from all different countries, this app has tons more to offer. You can share songs with your friends via Facebook, Twitter, email, or directly via Spotify. The app also sports an option to find a radio station that comes closest to the actual song you are listening to at that very moment. You can also create playlists, which with a premium account, you can make available offline for your listening pleasure at all times. It doesn’t end here. All music fans should check this app out as it’s a very nice way to make music available in this day and age. Spotify is a great app for any music lover. It’s a great way to listen to your favorite artists and a fantastic way to find new music. Music quality is great, depending on your Internet connection. Social features make it possible to share your favorite music with friends and the option to make playlists is great and easy to use. The subscription model looks a bit expensive, but in the end Spotify is a free service, so you’ll have to be able to put up with the ads. I recommend this app to anyone who like music, even for in the background, as the content in this app is unrivaled. It's a must-have for any music lover!